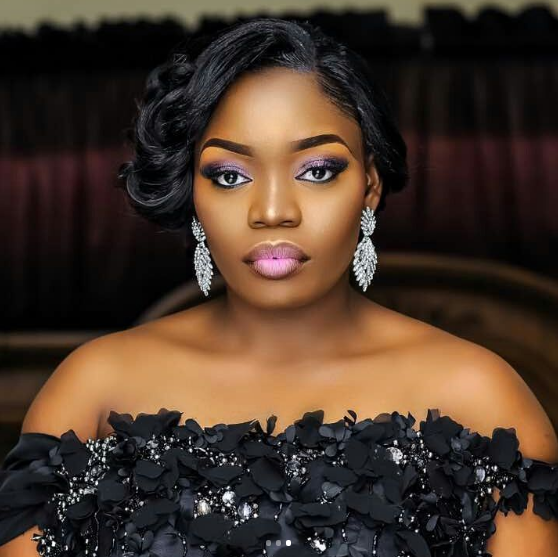 Big Brother Naija 2017 runner up, Bisola Aiyeola, opened up on her life, career and relationship, in an interview with Sunday Punch. I grew up in many places because we moved around a lot. As a child, I lived in Papa Ajao, Festac and Surulere, all in Lagos. I have many memories from my childhood. These include spending lots of time with my cousins and aunties, singing with them, and enjoying holidays with them. For my elementary education, I attended Stepping Stones Nursery and Primary School, and Nazareth Nursery and Primary School. I proceeded to Federal Government Girls College, Ipetumodu, Osun State, and Our Lady of Apostles Secondary School in Yaba, Lagos. Getting into higher institution was quite difficult for me but I was eventually admitted into the National Open University to study Entrepreneurial and Business Management. But I had to discontinue the course because I didn’t have the funds to complete it. However, I still have plans to further my education. I remember clearly that when I was 13, I was moving to another school and during an interview, I was asked what I wanted to become in future. I answered that I wanted to become an entertainer and my mother gave me a knock on the head, saying that I wasn’t serious and that I’d probably become a lawyer. But deep inside me, I have always wanted to be an entertainer. I cannot really say what stirred my interest in entertainment but my family is a very interesting one and we all love music, movies, etc. My first love is music, even though I feel comfortable with every other form of entertainment that I do. Music was what pushed me into entertainment. Right now, I’m exploring my music side and I would be releasing my EP soon. I did back-up vocals for some artistes before I contested in Project Fame. Though before Project Fame, I had attended some singing competitions, but they weren’t well publicised. Every moment I spent in the academy was memorable. Being mentored by Joke Silva, Ben Ogbeiwi, Gogo Majin, among others, was very motivating. They tutored us on how to be better singers and performers. I was a bit disappointed when I didn’t emerge the winner, but I met a lot of people and made friends. Being a broadcaster with women’s radio, WFM, was quite an enlightening experience for me. It was my first time being on radio, though I had presented some programmes on TV before that. I eventually became the Head of Programmes so there were a lot of responsibilities on me. I learnt a lot of things from that experience such as being articulate, how to manage other people, among other things. I keep applying the things I learnt there to my everyday life. I left that job because I couldn’t juggle my acting career with working on radio. The timing wasn’t working for me anymore, so I decided to concentrate on my acting career. In future, I could still return to radio to present my own programmes. I try to make jokes about things that happen every day that people can relate with. Uploading those comedy skits online gave me some exposure. Some of the acting gigs that I got were on the strength of those skits because the directors had seen me in them and they had ideas of certain roles they felt I could play in their productions. I see it as my personal public relations company, advertising my work and my abilities. I wanted a bigger platform to showcase myself and have a wider reach. I wanted to put myself out there more. I had actually been auditioning for the show for a while. It’s not like I wouldn’t have gotten to where I am, but Big Brother fastened the process.In the house, I learnt not to be afraid and not to limit myself. I also learnt to be more tolerant. I don’t want to talk about my relationship with Thin Tall Tony in the house because I have said enough about it already. I am still on good talking terms with all the housemates. However, some of my favourite contestants were Marvis and Thin Tall Tony. I have no regrets about my time in BBN. I have learnt not to relax just because you think you are talented. People wouldn’t automatically respect you for your talent; rather, you have to put in a lot of work to be relevant. You have to constantly work on yourself. I have also learnt not to ever give up. My mother is my biggest role model. She inspires and constantly motivates me. We have our ups and downs but we do have a good relationship. Being with my family encourages me because they always push you to be better. They have always supported my entertainment career, and even my stint with Big Brother. I have an amazing relationship with my daughter. In fact, she’s my friend because we talk a lot. I think she is one of the best children in the world. I and her father are co-parenting and we still have a friendly relationship. I cannot say if there is any chance that we could get married in the future, because life is unpredictable and one can never say. That would be someone who loves me, encourages me and motivates me. It has to be someone who would never judge me, and is a friend to me. I’m a jeans and sneakers kind of person. I realised that I cannot wear that everywhere and all the time but I love being comfortable. I love big earrings and I would say that’s my favourite fashion accessory. I enjoy watching movies, and I also sitting down with friends to talk.